With the Tokyo Game Show now in full swing, we’ve seen a few trickles of news coming to us across the Pacific regarding our beloved series. Adding to the news of the new secret ending included in Kingdom Hearts HD 2.5 ReMIX, the latest review from Famitsu has possibly shed some light on what new scenes will be included. The reviewer from Famitsu makes note of the secret movie’s inclusion of certain elements of the PC browser game Kingdom Hearts χ and that it leads into Kingdom Hearts III. As the game has not been localized outside of Japan, could this be a revelation of something upcoming? Is this game more connected than we thought? 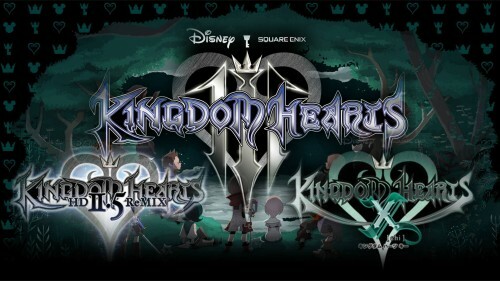 Kingdom Hearts χ [chi], which is set during the events of the Keyblade War, officially launched in Japan in July 2013. 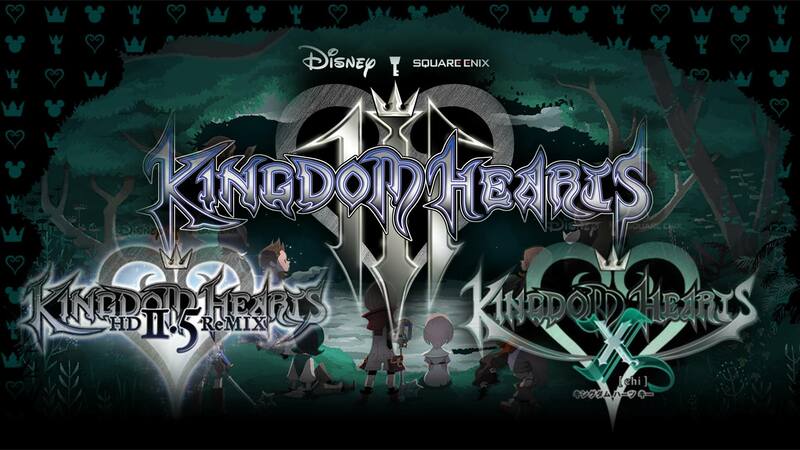 The greek letter χ in the game’s title (pronounced the same as “key” in the series and romanized as “chi”) refers to the χ-blade, a legendary weapon which is tied to the original Kingdom Hearts, the true heart of all worlds. You may remember this from Kingdom Hearts: Birth by Sleep, when Master Xehanort attempted to recreate the χ-blade by forcing Ventus, a heart of pure light, to clash with Vanitas, a heart of pure darkness. This plan however fails and the incomplete χ-blade disintegrates. At the earliest reaches of the series mythology, what the game developers refer to as the “age of fairy tales”, the World was whole with Kingdom Hearts believed to be the source of all light and protected by the χ-blade. Desiring to claim the light for themselves, various people began to fight over it, fashioning their own Keyblades in the image of the χ-blade. This era came to be known as the Keyblade War. Kingdom Hearts χ tells the story of those warriors who fought back against the encroaching darkness. Being partially a multiplayer game, players are able to customize their characters avatar similar to those featured in Kingdom Hearts Re:coded’s Avatar Menu (which was adapted from Kingdom Hearts Mobile in Japan). Though the game can be played in single-player, portions of the game require the use of cooperative multiplayer. One aspect includes five factions called Unions where players collect “Lux” by defeating enemies, with the winning team taking part in a special mission. Single-player mode introduces us to Chirishii, an anthropomorphic cat new to the series, who finds the player character after they have chosen one of the five Unions and arrive in Daybreak Town. Another character in the game, the Forteller, leads the player’s chosen Union, and imparts a warning to the player that not all who seek to defend the light wish for peace, but instead seek the light to claim it as their own. The game is ongoing and continually evolving, but considering we know the future of the storyline past these events, it may have a bittersweet ending. Despite this, is it possible that we could see Chirishii or Daybreak Town in the future of the series? Will the χ-blade return in KH3 to protect the Kingdom Hearts we cherish? Or will it be used to tear the world asunder once more? We’ll bring you as much as possible in the coming days as this is only the beginning of the Tokyo Game Show. Though only Kingdom Hearts HD 2.5 ReMIX will be there to represent the series, it’s not nearly over yet, so stay charged with us at KHRecharged!